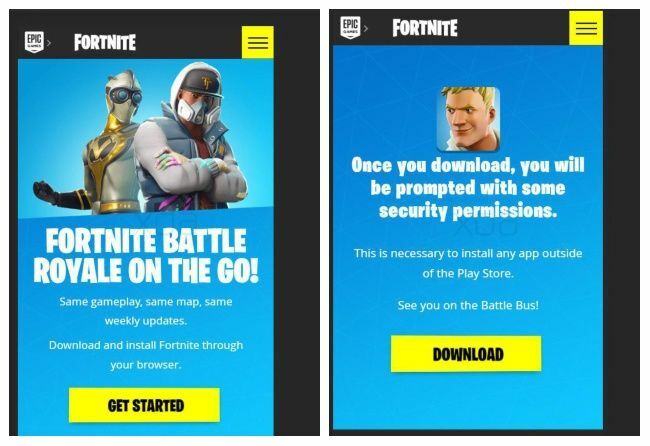 Instead of making the game available on the Google Play Store, Epic games might instruct users to download the app from their own website, and side load it. It looks like its raining news about Fortnight Battle Royale for Android. The most recent bit of news comes once again from XDA Developers who report that the game may not be available for download via the Google Play Store. Instead the developer, Epic Games, may make the game available for download via their own website and then side-load the app. The guys over at XDA Developers dug around the source code of the website and claim to have found instructions of how to download and install the game on their Android smartphones. Redditor /u/thesbros also claims to have found images which walk the user through the whole process. The first tells users to download and install the game through the browser. The second image lets the user know that they will be prompted with some “security permissions,” which is most likely referring to the enabling of app installation from unknown sources. Unlike iOS, Android allows users to install apps from third-party sources. Of course, the question still remains. Why would Epic Games choose to forgo the Google Play Store? 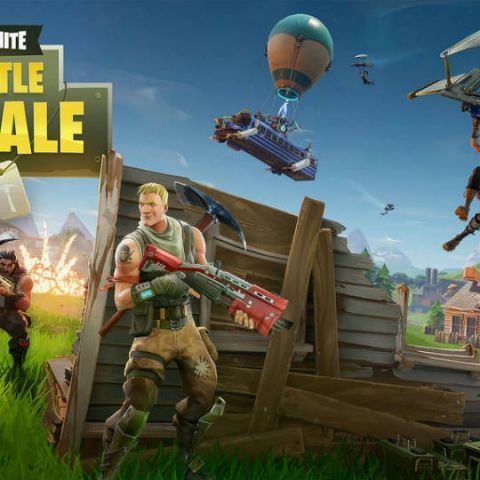 The report notes that due to the popularity of Fortnite, the developer may not have the need for the exposure that the Play Store has to offer. Further, Google takes a 30 percent cut on all sales as apps distributed within the Play Store must use Google Play’s in-app billing system. By forgoing the Play Store, Epic games will have the freedom to use their own in-app billing system. Nothing, has been confirmed as of yet except the fact that the company plans to launch the game on Android in the summer. We should know about about the launch on August 9, where Epic Games is expected to launch the game for Android alongside the unveiling of the Samsung Galaxy Note 9. The game is tipped to be exclusive to the smartphones for about a month. After that, the game will be available for other Android devices. However, another report suggests that the game will only be supported on select devices at launch, with more devices being added in the future.